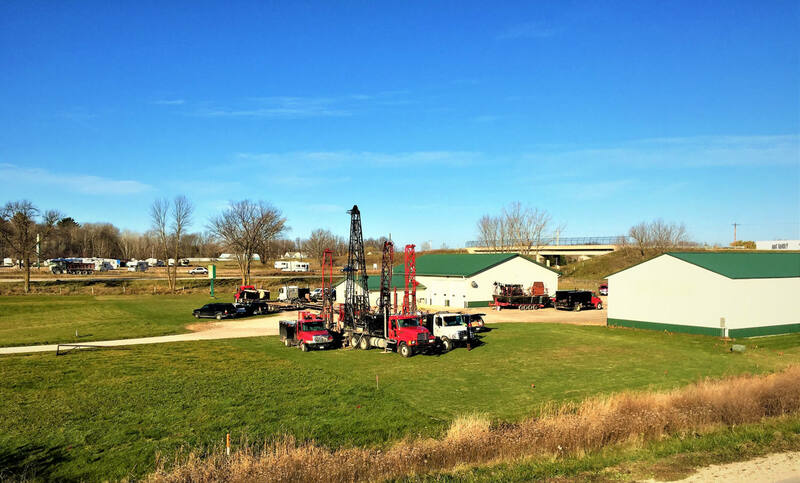 Subsurface Exploration Services, LLC (SES), is a geotechnical and environmental drilling company located near Green Bay, Wisconsin with a long tradition of excellence. SES has completed over 100,000 geotechnical and environmental projects over the past 60 years. We did subsurface investigation for foundations of several of the tallest buildings in the Midwest. We have completed drilling projects in over 11 states, including Alabama, Illinois, Indiana, Iowa, Michigan, Minnesota, North Dakota, Ohio, Pennsylvania, Virginia, and Wisconsin. SES operates two-man drill crews. Driller’s experience varies between >7 years to in excess of 25 years per individual, with most having greater than 10 years. The owner, John Link, holds a Master’s Degree in geology from Washington State University in Pullman, Washington. He is a licensed professional geologist in Wisconsin and Indiana. He has over 25 years of experience as a consulting geologist, working extensively as a project manager and field logistics coordinator for environmental monitoring and geotechnical engineering projects in 10 states. On rare occasions, John will get into the field as a driller’s helper, much to the delight of the driller because on the rig, the driller is “the boss.” John joined SES in July 2014 after the retirement of a previous owner. John Wagner has moved from full-time Senior Driller into the office to provide assistance with estimating, scheduling, and inventory control. John has over 12 years of drilling experience and uses that knowledge to provide our clients with timely and accurate estimates. John will still “escape” the office and drill from time to time as the need arises.